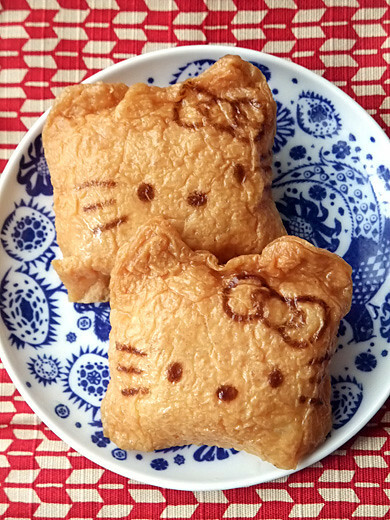 Hello Kitty turn her shape into everything. She became inarizushi. 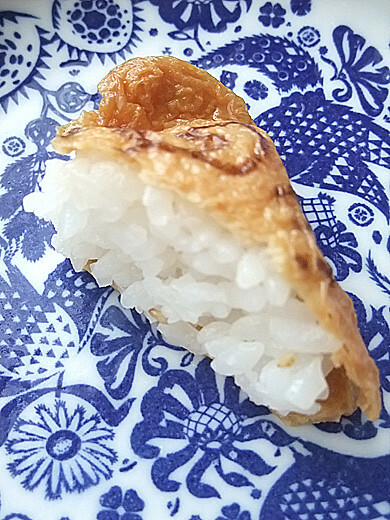 Inarizushi is a kind of sushi, simple and good. 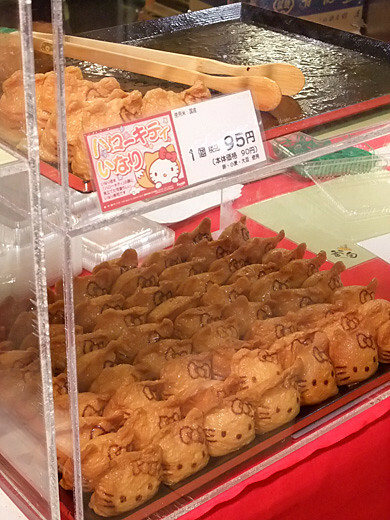 Some sushi rice is packed in fried tofu bag.